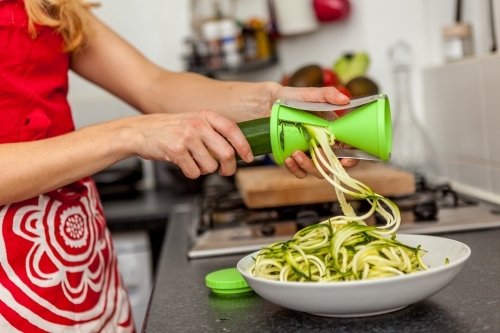 There’s nothing that I would miss more in my kitchen than my Spiralizer. 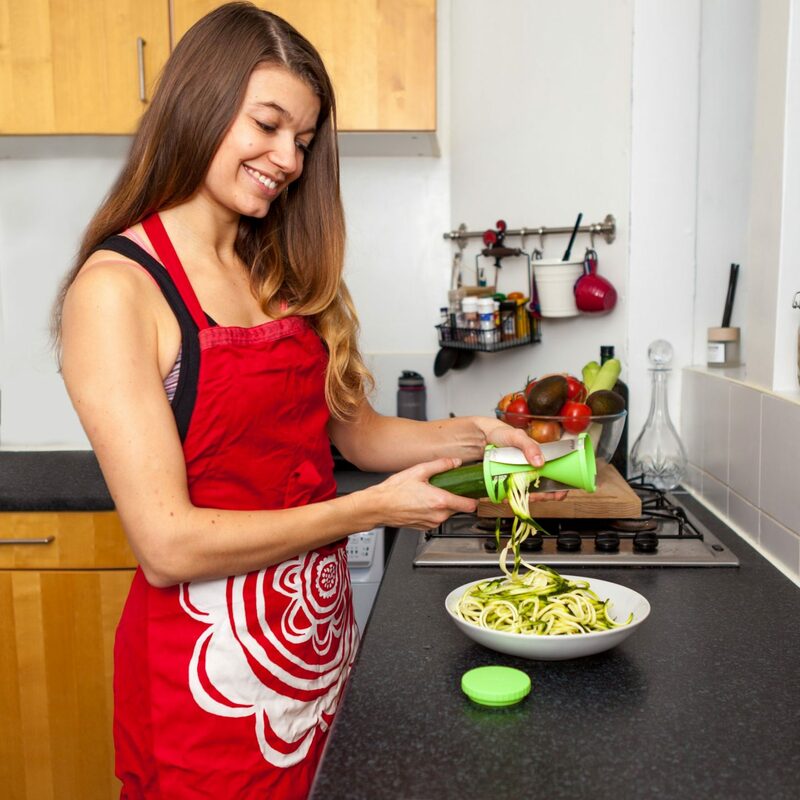 Spiral slicers have been around for quite some time; however, as healthy and raw food trends have found popularity and people become more and more cautious of the food they put into their bodies, they’re looking for more and more ways to spice up their homemade meals. That’s where spiralizing comes in, by adding fun texture to a regular salad dish. It is the latest trend of every health-conscious kitchen: personalities like Deliciously Ella, Hemsley sisters and Madeleine Shaw all use it in their recipes. You certainly have seen this cool looking veggies dishes as well in health conscious restaurants (Tanya’s café in Chelsea is just an example). The spiralizer is such a simple tool, which cuts your veggies into spiral or ribbons, making them look like very curly spaghetti. Various spiralizers use different mechanisms to accomplish this task but, generally speaking, each one uses a process that involves forcing product through julienne-like blades while rotating around a centre pivot. I recommend this type of Spiralizer if you don’t have much storage in your kitchen and you are not too sure you will use this tool much (YET!). It’s a handed tool with two sides: one gives you a thicker cut than the other(2×3 mm and 3.5×5 mm), but is limited to the long shaped veggies: carrots, cucumbers, courgettes for example. Kitchen Craft Vegetable Spiralizer is definitely more fun and gives you lots of more options. First of all it looks like a more serious tool. It comes with three blades (1.5 mm noodles, 3 mm noodles, spiral slices) that are easy to swap. There’s storage underneath for the two you’re not using. There are strong suckers on the bottom of all four feet, which hold it firmly to the worktop as you spiralize. The cutting width is very good, handling veg up to 18cm in diameter. And there’s little waste, compared to the Gefu Spirelli. Spirals are long and cleanly cut. The machine is easy to clean and packs away neatly. The front handle folds away: a clever design that makes it easy to store, but it means makes it a little difficult to use for left-handed. If you are left handed I’d recommend Cuisique Premium Spiralizer as the handle can be used on either side. 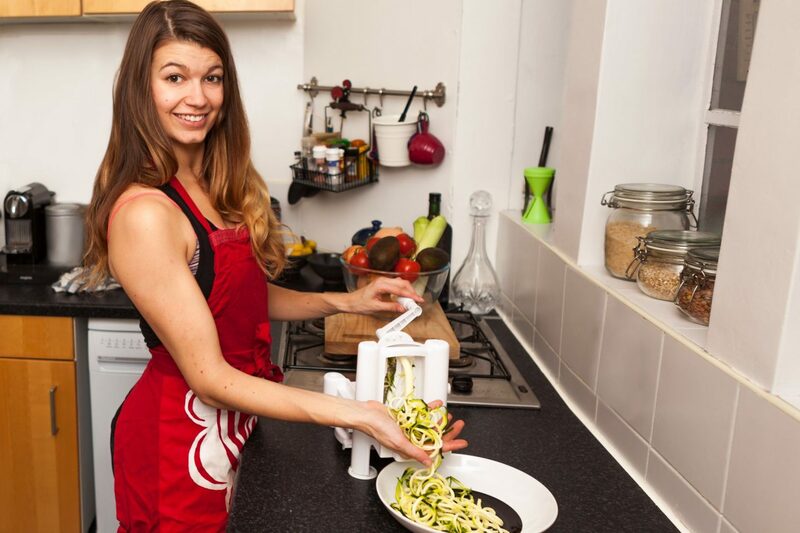 This is a a different type of spiralizer and it is vertical and also works as a grater and a juicer. I have never tried it first hand yet. The only down side I can spot at first glance is that it doesn’t pack away as neatly. Whatever spiralizer you’ll go for it won’t cost you much money and will definitely help you to get creative and healthier in the kitchen.